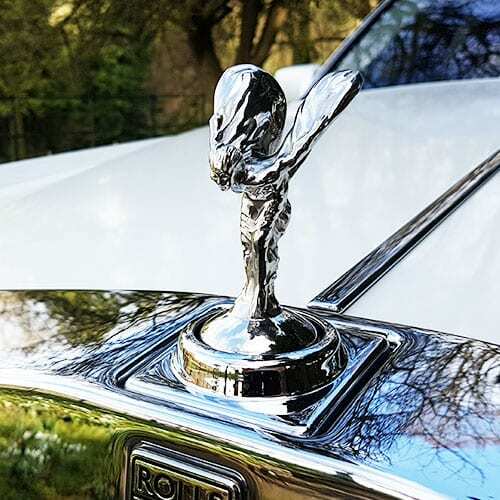 Introducing the Rolls-Royce Phantom Sapphire from the Bespoke Collection in pearlescent white. Made to a unique specification in 2008 with many options, this vehicle is one-of-a-kind and is in immaculate condition, with only 11,000 miles on the clock. With uncompromising contemporary style, the hand-built interior leaves no detail untouched. Finished throughout with diamond marquetry in a walnut burr veneer. The rear compartment in the Rolls-Royce Phantom is the most luxurious of Azure’s wedding cars. 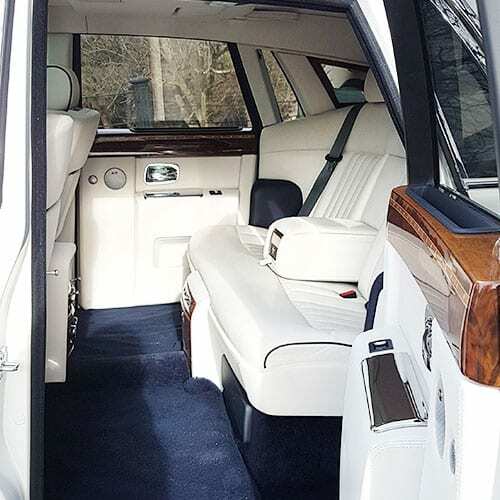 Upon entering, you’ll be able to walk straight into the vehicle in an elegant and graceful manner, due to the rear opening doors – much like HM The Queen’s state car. The fine, heated leather seats are perfectly formed to support and relax you whilst allowing you to sit in a stately fashion, for the ultimate journey in comfort. Once in the car, the electrically closing doors can be controlled at the touch of a button for minimal effort. 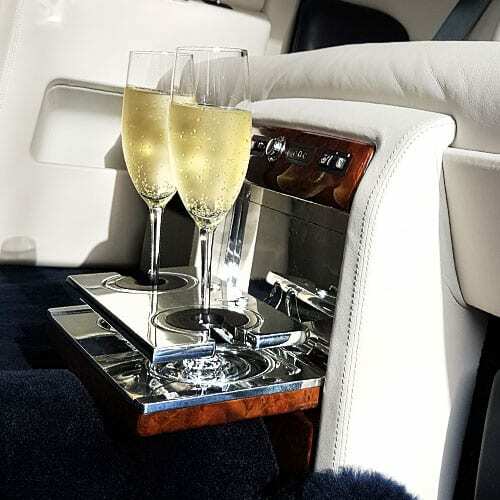 Custom built into the Phantom by Rolls-Royce at the time of order, there’s a lounge seat cool-box for a champagne bottle and built-in flute holders, for somewhere to rest your glass between sips. Azure’s Phantom is the only one based in the Cotswolds.